Adding online video to your site is the intersection of performance and brand advertising. Retargeted video advertising ‘out performs’ brand advertising and ‘out brands’ performance advertising. At the most basic level, Glabex Video brings back those users who have abandoned the site. Video Advertising solutions can play a key role in supporting strategic customer acquisition and engagement initiatives. Once a customer has purchased your products on the Glabex marketplace, it’s the beginning of a long-lasting relationship. Drive further revenue by supporting your customer with informative customized videos. It could be video instructions, how to use the product the customer has already bought, or a video presentation of supplementary products or product accessories. By retargeting videos, which are based on recent purchases, you can drive repeat orders and ultimately increase brand loyalty. When the customer completes a purchase, they receive an order confirmation and their products are tracked and a pre-roll customized video ad will be presented to him or her. Prepare different videos, attach these videos to your product/service and send them automatically once the purchase is made. Customize your Glabex Video by adapting and modifying the video ads for those customers who have already viewed them. Leverage visitor frequency attributes based on customer activity on site and video ads viewed in order to modify the video content. If a visitor has already seen a retargeted ad for the last product viewed and did not take targeted action, then a different ad can be generated for that visitor. Or play the same ad, but include a special promotion. 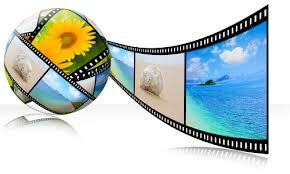 Bring new visitors to the site by preparing targeted videos. By reproducing the same attributes as previously successful retargeted video campaigns. Those successful attributes can be used to target prospects that have not yet visited the site. Nowadays, online video advertising is no longer an extension of TV advertising. It no longer serves only brand objectives, but delivers on performance marketing, too. Some of the world’s largest and most innovative brands recognize this and have adopted a video advertising strategy to deliver engaging and effective experiences throughout the customer’s lifecycle. Execution of these strategies commonly begins with a retargeted advertising program focused on bringing consumers back to the site with personalized pre-roll ads. The result; true business impact that is consistent and can be effectively measured and continually optimized to serve both performance and brand camps. Selling Online: How much will it Cost Me?